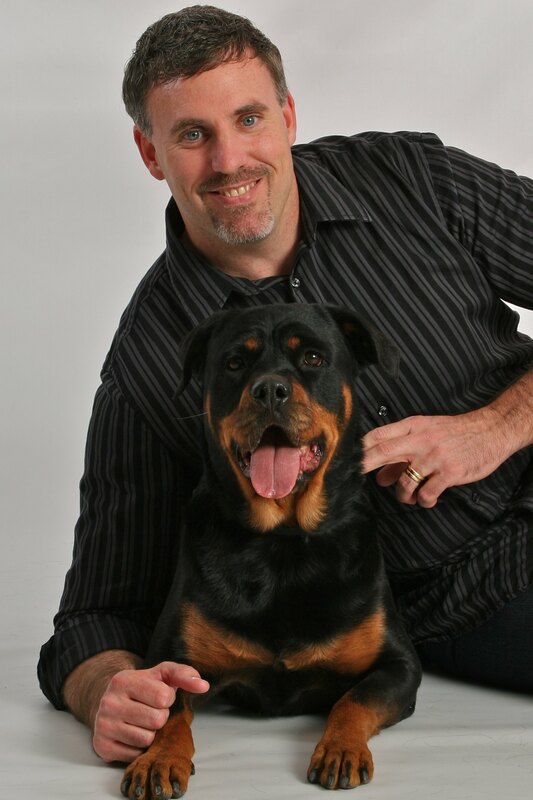 Baby Ruth is Steve's 11-year-old rottweiler and co-presenter of the Ultimate Escape presentation, "Ultimate Relationship: Connecting With God." Baby Ruth made her debut on stage with Ultimate Escape during Impact '09 at Lipscomb University in Nashville, TN. Since that time she has encouraged the hearts of teens and adults across North America, from East Hampton, NY to Midland, TX and from Regina, Saskatchewan, Canada to Atlanta, GA.
Baby Ruth is an avid sports player! She has scored a basket on a basketball goal (a genuine Air-Bud), loves to retrieve golf balls, will play catch with any willing partner, is a formidable opponent for tug o' war, and enjoys playing frisbee. If there is a ball involved, Baby Ruth is anxious to play. Baby Ruth has won "Best of Breed" and placed in group in UKC shows during her brief career as a show dog. She has the heart of a rottweiler and lives to work. Baby Ruth is an excellent guard dog! Steve enjoys sharing stories about Baby Ruth in action (ask about the car load of bad guys in Portsmouth, VA) when opportunities arise. If you are her friend, she has your back! Baby Ruth shares her home with Steve, Holly, and Griffin, and her replacement-in-training, "Legend." When she is not on the road presenting with Ultimate Escape, Baby Ruth can be found guarding her home in Allen, TX. Her favorite spot is the big red chair (her throne) followed closely by the brown leather love seat. Before purchasing Baby Ruth in 2003, Steve prayed that God would lead him to the perfect rottweiler puppy for the Holladay family. God answered that prayer and blessed Steve with more than a pet. God provided a partner for Steve to use in helping people emotionally embrace the truth that God loves them. Many people know that God loves everyone, but don't feel like God loves them. God uses Baby Ruth to help people bridge the gap between the knowledge in their head and the void in their heart. 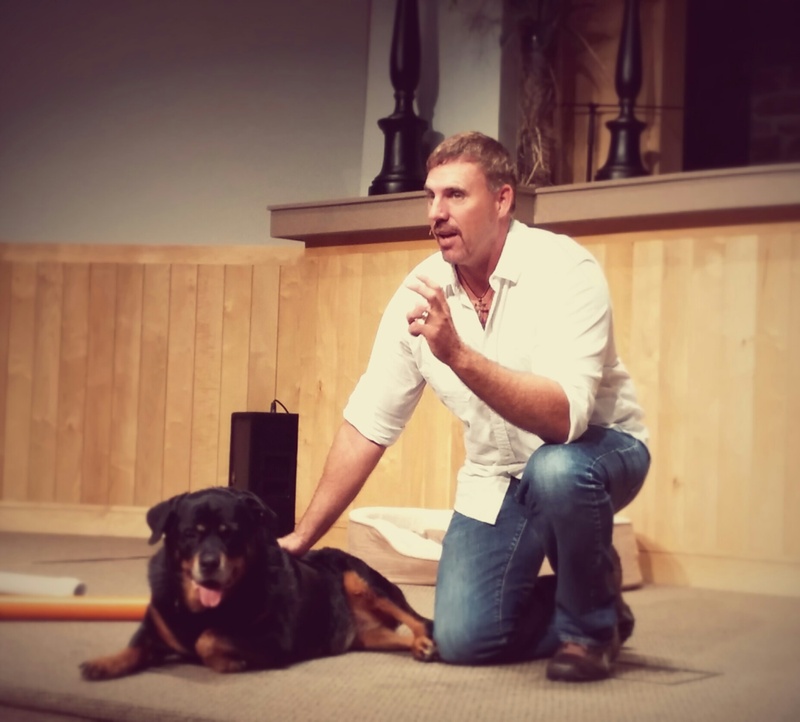 After all, you can learn a lot about God from a dog! What People are Saying About "Ultimate Relationship"
Want to attend an Ultimate Escape event? See where we will be in the near future. Visit our Facebook page for ministry updates, videos, event info and more. Your support can help change lives! Be part of the solution.